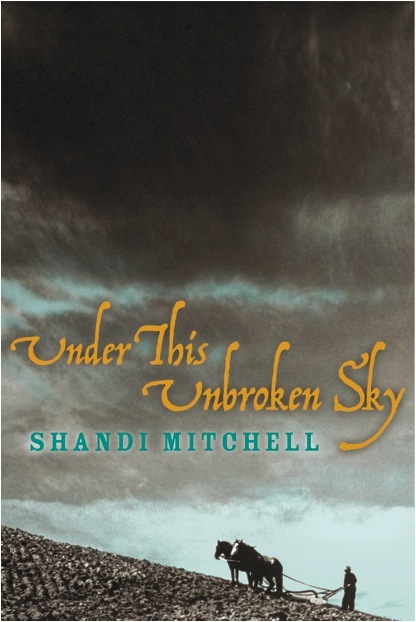 AWARD-WINNING Canadian filmmaker and screenwriter Shandi Mitchell’s short films have been screened at many international film festivals. She spent her childhood on a military base in the Canadian Prairies and now makes her home in Nova Scotia on the east coast of Canada, with her husband and their dog. 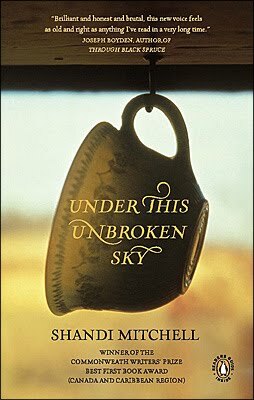 Her first novel, Under This Unbroken Sky, delves into the lives of two immigrant Ukrainian families consumed by the new land they yearn to possess during the Depression in the 1930s. 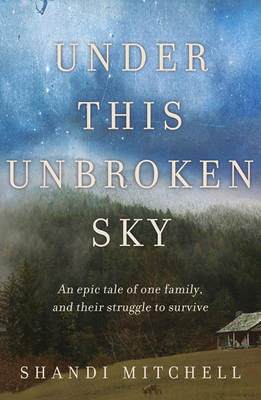 Congratulations on winning the 2010 Commonwealth Writers’ First Novel Prize (Canada and Caribbean) for your first novel, Under This Unbroken Sky. What was it like winning such a prestigious international literary prize? Pretty darn fine. It’s wonderful having your work acknowledged, but the competition of art is always uncomfortable. You hope your book will be welcomed into the world, but you never imagine such an embrace. The great reward was meeting writers and readers from around the world and listening to their stories and global views. Could you tell me a bit about your family history? Where were you born? Have you always lived in this part of Canada? What was it like growing up in this part of the world? I was born in Chatham, New Brunswick, moved to Alberta when I was three, and then moved east to Nova Scotia when I was seventeen. The western prairies were the geography that imprinted on me. When I return there now, that immense sky can bring tears to my eyes. Growing up on a military base made me an anxious kid who projected a tough exterior. I felt apart from the civilian world and also separate from the military culture. This likely shaped me to be an observer. I was curious about life beyond the lines of boundary. I went through a chameleon phase moving in and out of the lives of others, trying on different lives. But I was only ever a visitor. I spent a great deal of time at my aunt and uncle’s farm. There I discovered a love for the natural world and the freedom to explore. It taught me self-reliance, hard work and a respect for those who seldom share their stories. Now, I live near the sea. It possesses a different raw power, but I am still drawn to wide open spaces. As a child I always wrote—horribly, but I did write reams of poems and short stories, which to my chagrin are still in my mother’s possession. I was also an obsessive reader, but the idea of being a writer didn’t enter my consciousness. Writing was not a profession that had any reality, merit or value in the world that I lived in. The epitome of success was to attend university, secure a high-paying job, marry and start a family. I chose to study English and Theatre in university, which did not result in a high-paying job. I stumbled into film, but, alas, found myself drawn to independent filmmaking (again, not lucrative). I was writing screenplays and making shorts, and about six years ago I began writing poetry and short stories again. It was my secret pleasure that didn’t require budget or financing approval. It was my place to play. One of the character sketches evolved into what I called a “long story.” I had written a hundred and fifty pages, before I dared to admit that it was a novel. Only after it was published, did I call myself a writer. Even so, I have much more to write before I can comfortably use the word. Recently, I had a call from my mother informing me that a cousin could get me a good job at a call centre, so the writing career is still in question! What do you enjoy and dread most about your life as a writer? What I enjoy most is the same thing that I dread: living inside my head. What’s a typical day in your writing life like? Coffee, feed and walk the dog, make contact with family, deal with domestic tasks that I can no longer ignore (laundry, dishes, cleaning the dog pen), try not to pace while waiting for my husband to leave for work, another half hour of avoidance, read the news, check emails (if I don’t expect anything that will require my attention), and finally off to the computer. If it’s a good day I hope to be inside a story for three or four hours. Then there may be a couple of hours of research and I’ll jot down ideas as to where I will be going next. I do try to disengage for the evening, but often find that story questions continue to churn and follow me into my sleep. Was it difficult getting your first book published? Did you experience the usual difficulty in finding an agent or a publisher for it? I don’t have a heroic story of rejection and triumph. I sent the first fifteen pages of the manuscript to two respected agents. One passed because they didn’t believe it would have a market in the US or UK. The second asked to see the entire manuscript, said yes, and then promptly sold it simultaneously to Canada, US and UK. I read that your novel was inspired by a tragic event in your family’s history. Would you like to tell me a bit about this? When I was eighteen, I was told that my grandfather hadn’t died of the flu in the 1930s. My family history unravelled and I set out to piece together the facts. What began as a personal search evolved as I discovered that part of my country’s history had also been erased or forgotten. I wondered about histories disappearing in a mere seventy years and a country’s reluctance to look back. I wanted to know about the blood and bones that my privileged life had been built upon. And, I suppose, I wanted to give voice to a generation that didn’t have the freedom to speak. Yes and no. I had an end point that I knew I wanted to reach and I had a start point. Before I begin, I usually have a final image or scene in mind. I tend to map a rough outline, in which I set down a few guideposts and then I set the characters loose. How the characters get to those posts, I try to leave it up to them. And sometimes, the characters surprised me. They took on a will of their own and it felt as though I were writing behind them, just trying to catch the words. In several scenes, I found myself pulling back, seeing too late where a character was heading and not wanting to go there, but I had to get out of their way and allow them to do what they must. What are some of the themes you dealt with in it? Were you conscious of these when you first set out to write the story? I was interested in breaking points and the razor’s edge of life and death. As I fell into the characters’ lives I started to hear questions of freedom, pride, aloneness, madness and secrets. Set in the 1930s and spanning two countries, there was a great deal of research I had to do. My initial research though is broad and general. I try to catch a sense of the time, place, values, and social and economic conditions. I collect historical facts and often work from photographs, first-person accounts, documentaries and archival documents. But fairly quickly I want to sketch the setting and drop my characters into it. When the characters do something that demand detailed research that’s when I go deeper. As you were writing the novel, how did you know when the manuscript is completed? Do deadlines determine this or do you feel a sense of confidence that there is no way you can improve on the story any further? I’m not sure if it ever feels complete. There comes a point in the story where I can think of nothing more I can do. The characters have given me all of themselves. Then the editors come in and we find new places to poke, but rarely about story details. I don’t show my work until I believe the story is whole. Eventually, there are the eye-bleeding line edits and then I swear that I will never look at the manuscript again. It is done, done, DONE! But when the publishers come for it, they have to pry it from my hands. And I will probably make several more calls, to change “the” to “a”, etc. I tend to read books that have been deemed great either by time, by critics, or by readers. As a young child, I wanted dark fairy tales and fables. I wanted the stories to feel dangerous and pursue me off the page. 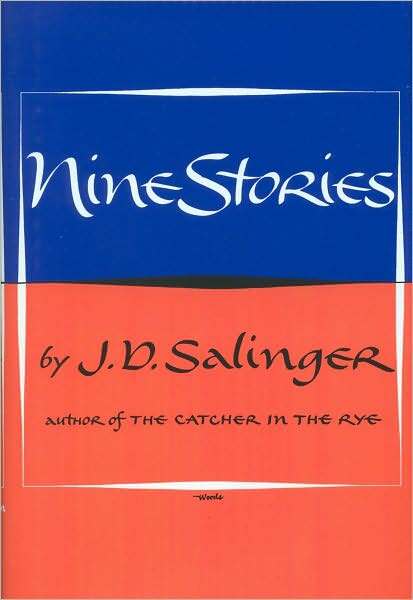 As a pre-teen and teenager, I was drawn to books I was forbidden to read because of the subject matter: John Steinbeck, Günter Grass, Vladimir Nabokov, Fyodor Dostoyevsky, James Joyce, Franz Kafka, Johann Wolfgang von Goethe, J.D. Salinger, Ernest Hemingway, Yukio Mishima ... books that seemed to hold some secret about humanity that was being kept from me. At some point, I realised I was reading only male authors. I wondered where the female voices were? And then I discovered Flannery O’Connor, Margaret Atwood, Alice Munro, Emily Dickinson, Sylvia Plath, Margaret Laurence, Joyce Carol Oates, Dorothy Parker, Doris Lessing, and many others. In university, I realised that I was studying only British and American voices and began to look around the world. These past five years, I have found myself searching contemporary writers and looking back to Canada to hear the new voices. However, I honestly can’t attest to a singular book that changed my life. They have each contributed to my perception of myself and the world. Who are some of your favourite Canadian authors? 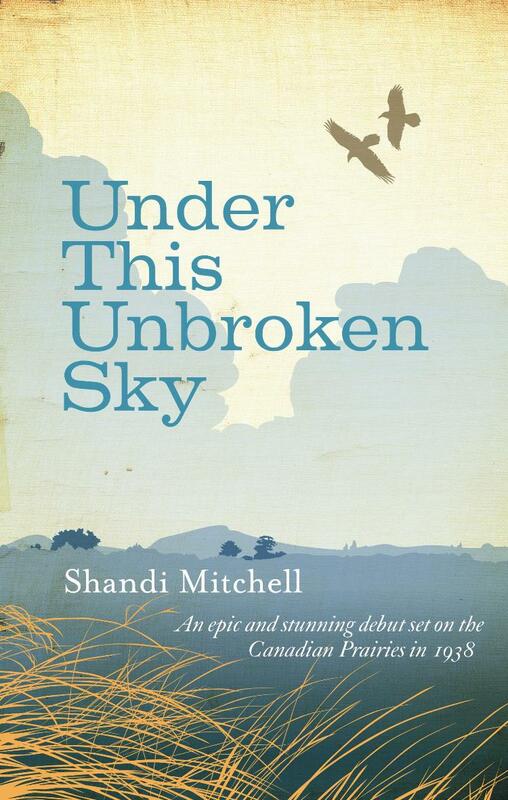 Michael Ondaatje, Steven Galloway, Alice Munro, Miriam Toews, Alistair MacLeod, Sue Goyette, Joseph Boyden, among others. I sometimes go back and look for passages. I suspect that in another decade I will pick up books that have not left me and look at them again with older eyes. But for now, there is always something new calling to be discovered. No, though I do enjoy documentaries. I am writing now and I don’t read on days when I am writing. I don’t want to be influenced, nor do I want to be discouraged by my inadequacies. 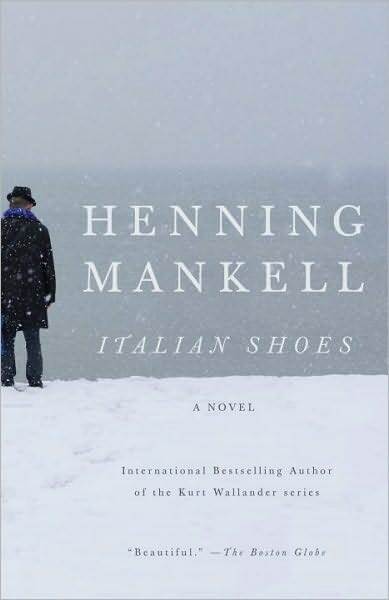 The last books I read were Colum McCann’s Let the Great World Spin, Henning Mankell’s Italian Shoes, and Nicole Krauss’s The History of Love. I think creativity and imagination can be freed, but I believe we are born with our passions. The latest collections that have wowed me are Salinger’s Nine Stories and Daniyal Mueenuddin’s In Other Rooms, Other Wonders. It has been said that literary novels lack plots. Do you think literary novelists should put more emphasis on plot and less on stylistics? Why do you think there’s a perceived divide between popular and literary fiction? I don’t know what to contribute to this debate. Plot generates from the characters for me. I have no qualms with a quiet, internal plot. But I’m also up for a story that pulls me forward with tension and apprehension. I’m not engaged by literary works in which the stylistic acrobatics dominate at the cost of human insight. I can appreciate and admire the construct and envy the technique, but I prefer to feel the story as a whole, rather than be forced to intellectually spar with the writer. I suppose the divide between popular and literary fiction is the depth of the story’s theme. But I don’t know that popular is to the exclusion of literary. I want fine writing. I personally want to feel something, whether that is from within the story or my response to the story or its form. I don’t want to be lied to. I want to be shown something or taken somewhere that I have never considered. Novelist Rana Dasgupta’s wish for his young daughter as she discovers fairy tales and fables is that she be awestruck. That’s what I want. I want to be awestruck.